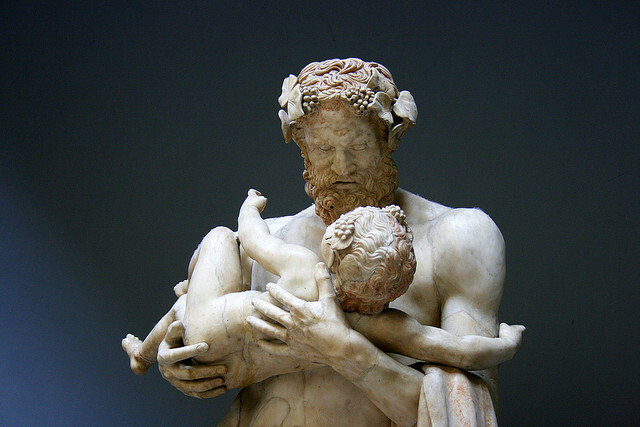 A statue of Silenus with the young God Dionysus on his arm. The ancient Greeks and Romans had Gods for nearly everything. One of the most famous now, and most popular in those days, was Dionysus, or Bacchus in Roman. Less well known is his loyal sidekick Silenus. A shame because this old drunkard was the one who taught the God of Wine and Partying how to party in the first place. Silenus himself was also the God of dance, the wine press and drunkenness, indeed not a bad mentor to have. Not at all.